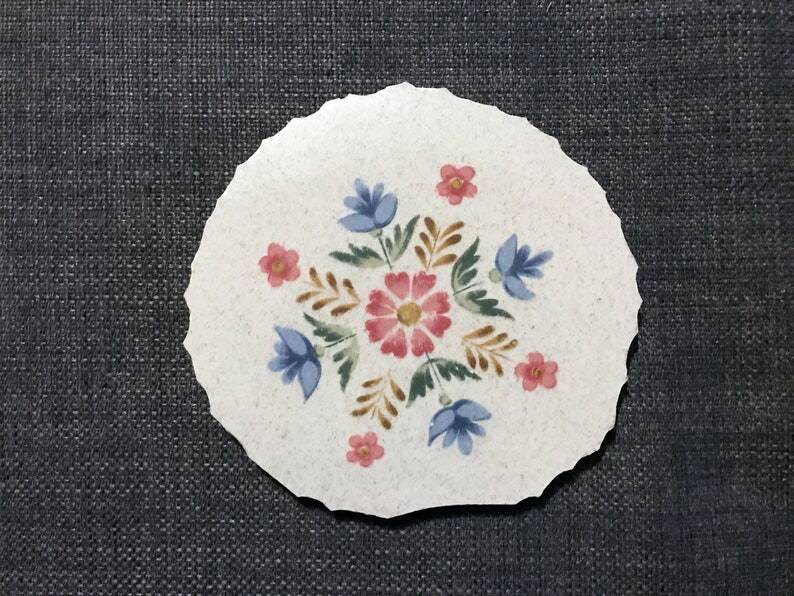 Large flower focal hand cut from a plate from the American Patchwork Collection, Heritage Stoneware, Japan. Perfect centerpiece for your next mosaic masterpiece. This is a nice focal for the centerpiece of your next mosaic or mixed media project. The primary image is true to the color of this piece -- sort of a gray/blue. This focal will lie flat.